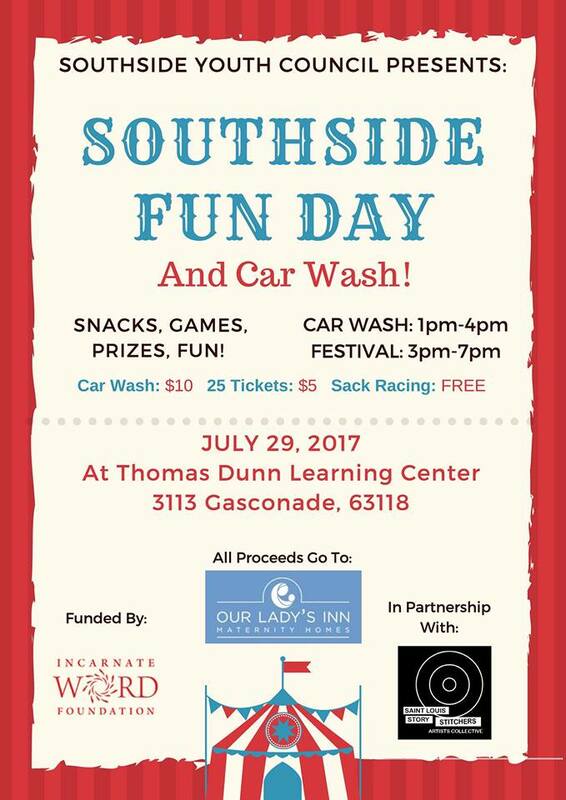 Thomas Dunn Learning Center‘s Southside Youth Council is throwing a fundraiser, with all the proceeds going to Our Lady’s Inn. Bring your car for us to wash, or your kids to jump in the bouncy house we’ll have. We’ll also have some other activities, a snack bar, t-shirts for sale, and a live performance by the StoryStitchers at the end of the evening. This event is the final part of the Community Leadership Camp where they chose a community project to work on. Our Southside Youth Council has worked really hard on this event, and we hope to see you there! See more Southside Youth Council and Thomas Dunn Learning Center events.